Need some ideas for your vacation in the summer or fall months? You’ve come to the right place. How about a 5 nights all-inclusive getaway on the Mayan Riviera from $849 per person? If you like it, you can travel on several dates between August 20 and October 28 2016. You may also find below cheap flights to Peru starting from $499 r/t, 4 star Fort Lauderdale hotel on the beach from $99 a night and a luxury escape at Occidental Grand Aruba from $1179 per person. If you see one you like, do not let it sell out! A round-trip airfare from Fort Lauderdale to Cancun, 5 nights accommodation at the Secrets Capri Riviera Cancun, all-inclusive services plus taxes and fees. You would stay in a Preferred Club Deluxe Tropical View room with private furnished balcony or patio, hard wood furniture, four poster king bed, mini bar, air conditioning and whirlpool tub among other features. 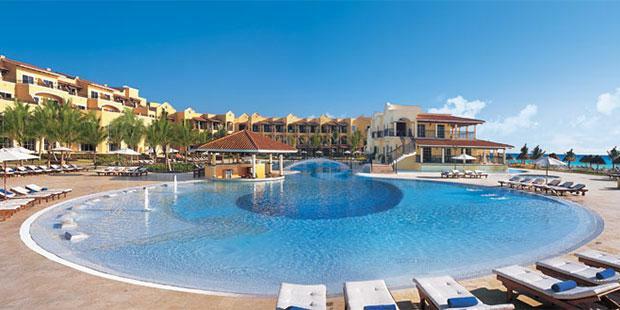 Secrets Capri Riviera Cancun has 7 restaurants, library, a golf course, water sports, pools and all you can imagine. Select the merchants that you like and trust to see more all-inclusive getaways in the Riviera Maya area, then choose the one you like the most and book it!